Prepare yourself to be inspired! 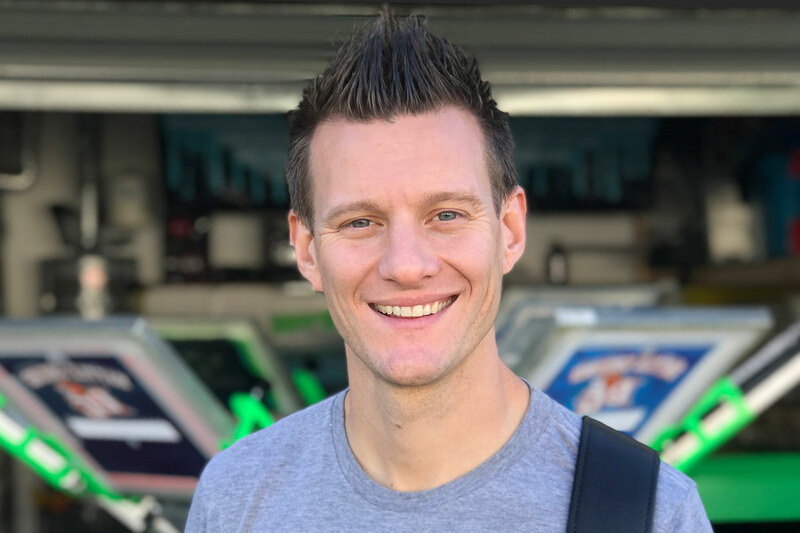 Hayden Dansky has built a nonprofit empire that serves all of Boulder, while simultaneously providing resources and materials for others to implement the same framework in their own communities. Originally from Morganton, N.C., Hayden’s path led them to Boulder for undergrad. There, they quickly became involved in the community. Their work with Food Not Bombs in Boulder helped them recognize the needs of the community. 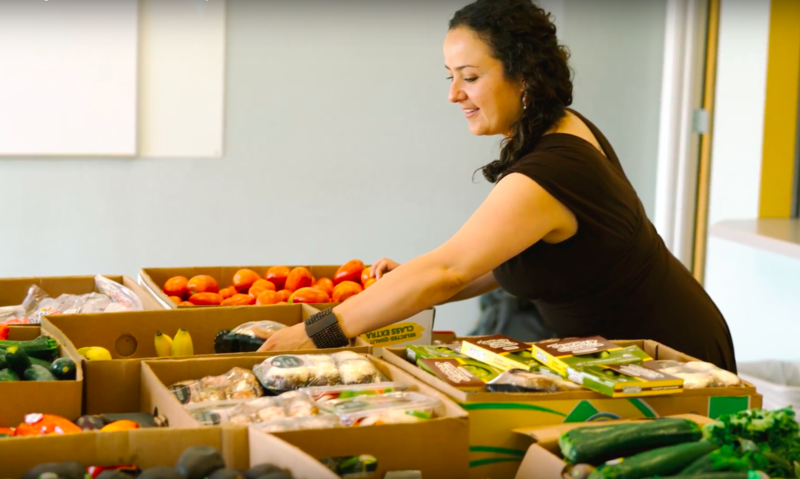 Subsequently, they launched Boulder Food Rescue, which has redirected over 2.2 million pounds of healthy food from businesses to low-income communities since the program’s inception in 2011. That’s not all! 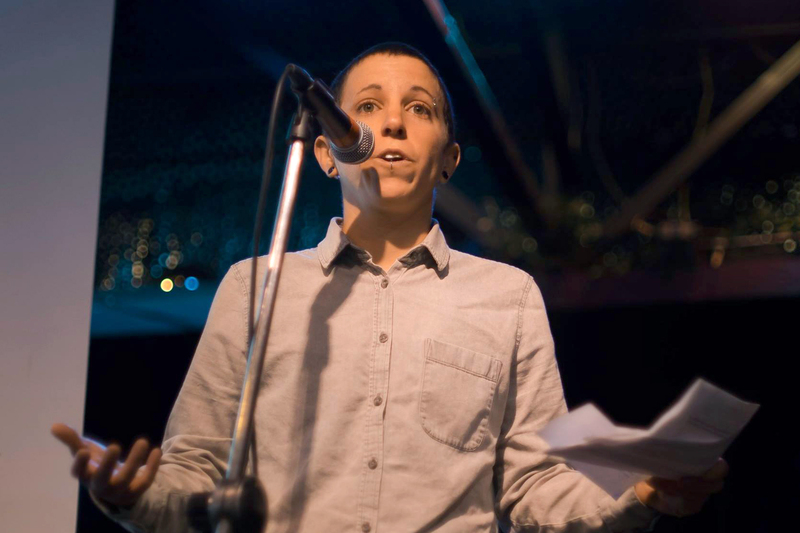 Outside of their work as the Executive Director for Boulder Food Rescue, they are also part of the Boulder County Healthy Eating Active Living team, is an alumni of the Chinook Fund Giving Project and worked to establish an activist and queer space in Boulder. They are a queer and transgender poet, artist, and instigator and executor of various strange (and sometimes helpful) ideas. 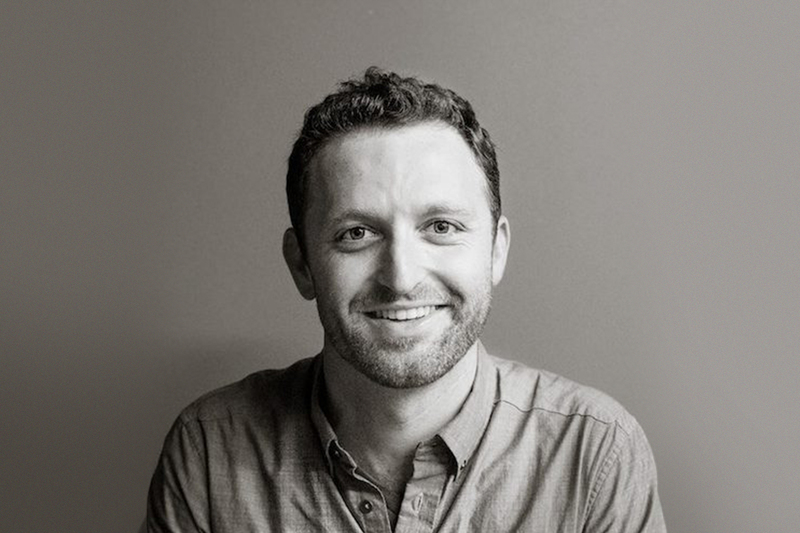 Hayden sees food as a catalyst for change, a tool that works to build community and bring people together. Read on to find inspiration through their journey and learn how you can make a difference in your community. 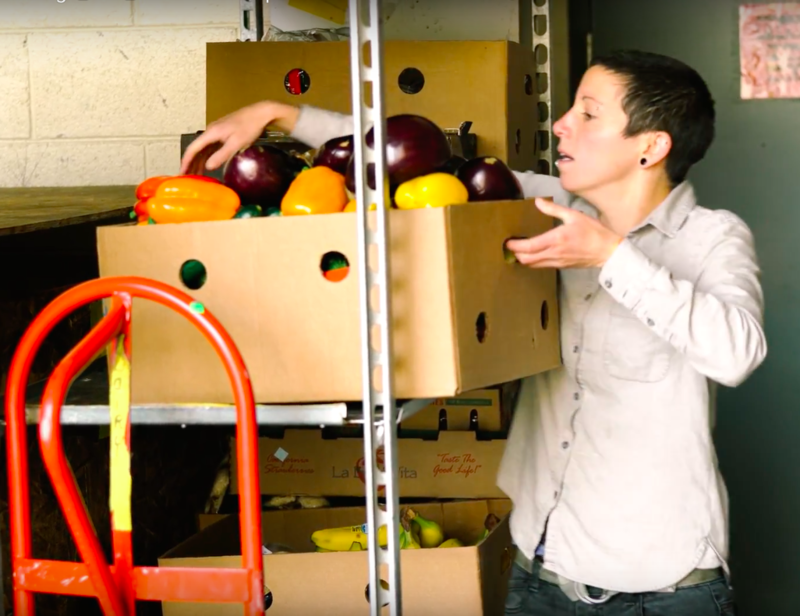 Boulder Food Rescue (BFR) works to create a more just and less wasteful food system. They do this through the sustainable redistribution of healthy food to low-income communities while educating each other about food justice. BFR was developed in 2011 by Caleb Phillips, Becky Higbee, Nora Lecesse, Helen Katich, and Hayden Dansky. In University of Colorado research conducted by two of BFR’s five founding members, Caleb and Becky, it was discovered that enough food is thrown away or otherwise wasted each day to feed everyone who goes hungry in Boulder and Broomfield Counties. The founders reached out to local grocers and learned that much of their produce could not be donated to food banks because the food was too perishable or because of policy restrictions, which amounted to thousands of pounds of nutritious food being thrown away every day. Together with Ideal Market, the first donor, Boulder Food Rescue developed systems that allowed them to provide direct, just-in-time delivery of perishable food, thereby helping to mitigate hunger in Boulder County, increase the access of at-risk populations to nutritious food, and ease the food budgets of local nonprofit organizations and individuals. When it was discovered that healthy food was in high demand for low-income communities and nonprofits serving them, the organization quickly grew from five friends to hundreds of volunteers, picking up food 15 times a day, every day of the week, by bicycle. Furthermore, they found that food insecurity is hidden in the cracks of the marginalized communities and there isn’t always an easy solution. In order to provide food to those who may not have access to traditional sources, they began donating fruits and vegetables to unique places that do not commonly handle food, such as low-income housing sites, elderly homes, preschools, and daycares. LDT: What path led you to Boulder? HD: I moved out to Boulder when I was 18 to attend school at CU Boulder. I had an interest in living in a place that was close to the mountains and far from North Carolina. The West seemed good. I don’t know how I found out about Colorado. I had never actually been there. I applied to CU Boulder and when they accepted me on scholarship, I decided to go. 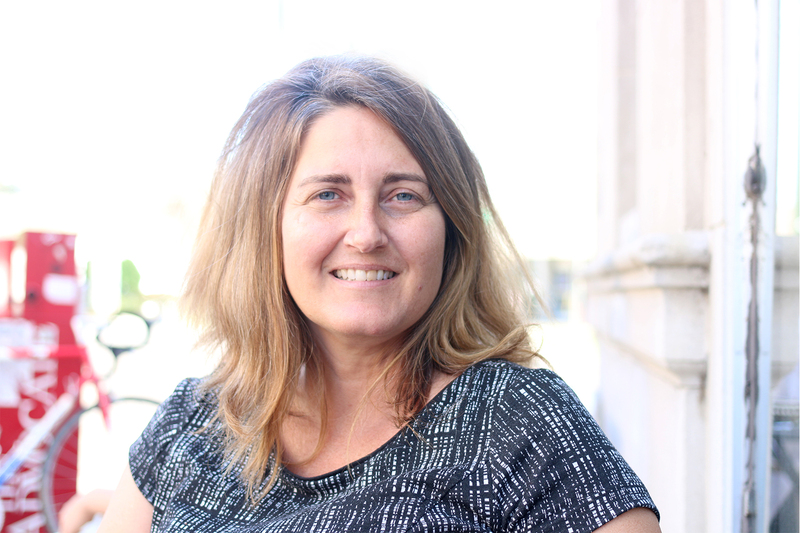 LDT: How did you become the Executive Director of Boulder Food Rescue? HD: Through my education at CU Boulder… I studied ecology and evolutionary biology and philosophy. A lot of my interests lied in ethics and environmental ethics. In the process of that, I learned about the food system. And the food system is very interesting to me. I’ve been learning about food waste, learning about the food system and how many resources we spend on food. Who has access to food and who doesn’t? Then I learned that 40% of food in our country goes to waste. That kind of hit me. At the time, I was interested in individual impact – what can individuals do in their own day-to-day lives? I don’t think this is a bad question, but now I have a more nuanced and holistic perspective on this question. In learning about the food system, at first, I felt like, oh, I can be a vegetarian. Then vegan Then Freegan. What does it look like in the waste stream? How can we utilize it in our own habits? That’s negative waste and that’s really good. I came at it at first from an environmental perspective and then the social side of it… who has access? And that’s what I’m really interested in. Boulder Food Rescue came about in conversation – about how much food is going to waste in our own hometown? I just started talking to friends. It’s really organic. We just started exploring this more and more. We started a meal in the park under Food Not Bombs. And then we were cooking and eating with people and realizing people were saying, this is the healthiest meal we get all week. This is different because you sit down and eat with us. This is different because it’s a conversation over food. That sparked a lot of the values for Boulder Food Rescue: people want healthier food. Let’s get this to the other programs and for people who don’t have access to go to food pantries. Instead of just doing a meal, we started a food redistribution organization. We focused on fruits and vegetables and a typical participatory approach. We asked people, what do you want? What will decrease your barriers to access food? It’s more a collaborative process to build relationships with people. So now with Boulder Food Rescue, we form relationships with grocery stores. All the food is donated and would otherwise have been wasted. We take that to those food pantries and the other half of what we do is low-income housing sites, daycares, and retirement homes. They created grocery programs in a convenient place. Neighbors can come down to shop in a convenient place and people don’t have to go out and get it. That’s the story and what we do on a given day. 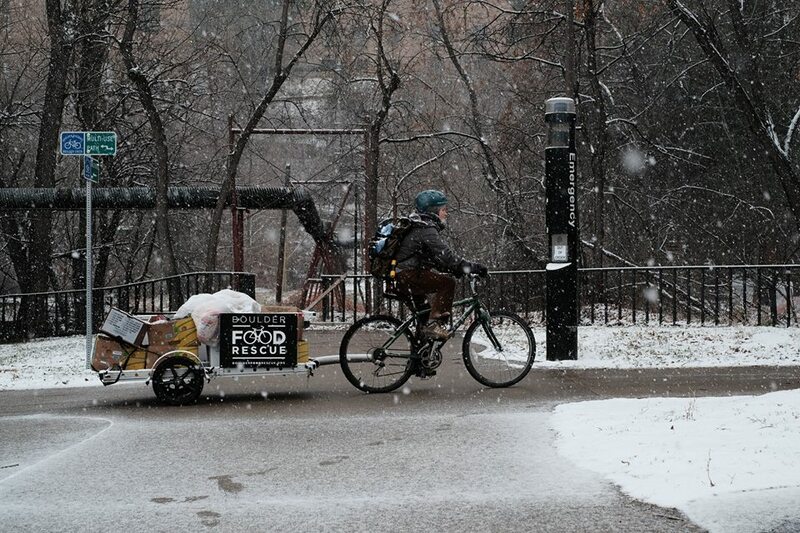 We do as much food distribution as possible by bicycle. We have 150 volunteers who bike food to designated sites around town. We formed relationships with the different sites, then we find a time and place that works for them. It’s run by the people that live there. We say what works best for you? The residents then connect and distribute the food. HD: A day for Boulder Food Rescue is 10-13 of those drops, every day of the week. It’s done by a group of volunteers. We do 1,500 pounds of food per day right now. Maybe 80% is by bicycle – it’s as much as possible, but when it snows it’s going to be a different story. We drop food off to the mountains by car. There are mountain towns nearby that have really big food access barriers because they’re isolated in a mountain corridor. 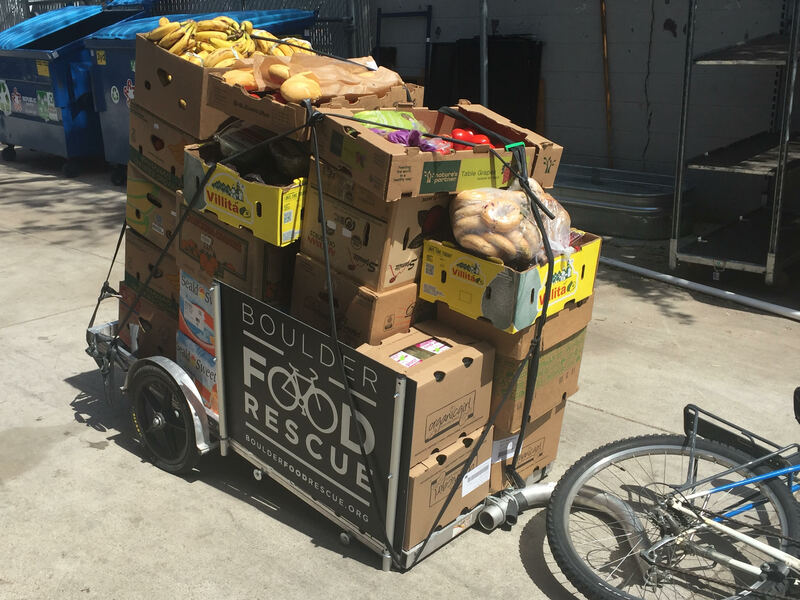 That’s the normal day for Boulder Food Rescue. For myself, I do a lot of sitting on a computer. We have a Volunteer Coordinator who manages the schedule, talks to volunteers, and gets them trained. We have a Program Director who manages all the relationships, both on the donor side and the recipient side. It’s a big value of ours to be always open to feedback and being flexible and changing our schedules when we need to. Having a person who coordinates with all of our recipient sites so they can call us when something is not going well or things need to be changed. Our core value is to be inclusive and allow people to have a voice. We’re a small organization so we share responsibilities in pretty big ways. We have a part-time Development person who is helping with fundraising and grants. I do everything else. A lot of the visioning, fundraising, event coordination… We are doing research on food access in Boulder. And that research is statistical and qualitative. Not just qualitative, but what are your experiences getting food and what are the barriers? We really allow our participants to help design ways to improve food access. I work with Food Rescue Alliance, that’s a network across the country. Either volunteers from Boulder move to other cities or people have found us online and they want to start Food Rescues in their own town. We help facilitate that process. We provide resources and facilitate a peer learning network to share information and resources. 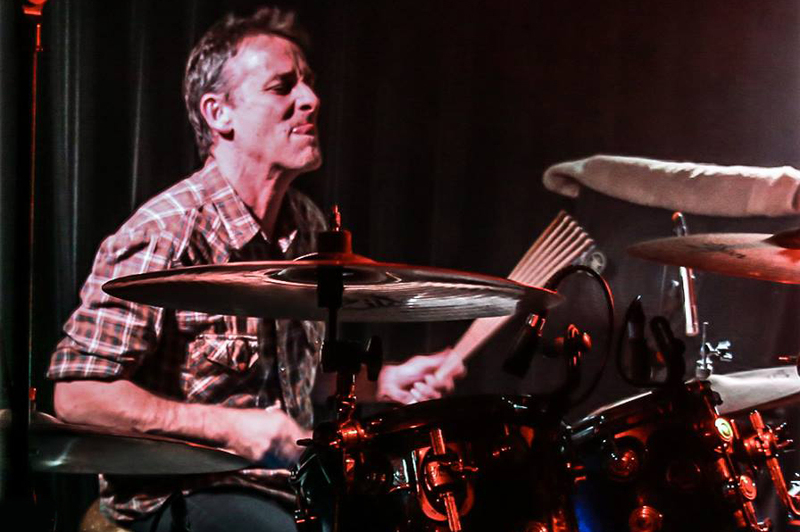 We’re in 15 other cities across the country. HD: For the organization, I think one of our biggest challenges is this constant building of relationships with grocery stores. Grocery store managers are very busy and there’s also a lot of turnover between management and staff. So we spend a lot of time building these relationships and then staff will turn over and you have to do it again. That can be a really big challenge. That’s one of our big goals: how do we institutionalize food donations? There are a lot of incentives but it takes work to set it up. That’s a challenge, navigating that food supply. My biggest challenge is time. We do a lot. We’re definitely an organization that is built around action and getting things done which is awesome. I’m all about getting things done. If we have a meeting and we’re like cool, we’re going to do this thing. We mean it! We’re ready to jump on it. At the same time, we’re really busy people. All of the staff and volunteers who do a lot feel this way. We have to navigate how to show up and do the work we need to do and not totally overwhelm and burden ourselves to the point of burnout. Being a grassroots, small nonprofit that cares so much about this work. So how do I show up and do these things, and also not totally overburden myself? I’m learning how to say no. That’s my biggest challenge. 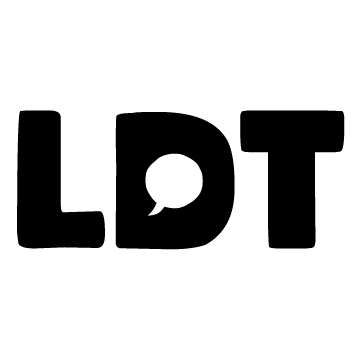 There’s a lot of things that can be exciting about it but the one thing I always come back to… when I talk to the people we work with. When I do a drop or stop in and check in with the people we’re dropping food to, that experience food insecurity every day. Building those relationships… they’re my friends now. We’ve gotten to know each other through the process of sitting down and having a meal together or dropping food, calling neighbors. The experience of watching people do that work and talk about how much more access to fruits and vegetables they have now, or even more so… My favorite is when people talk about not just the access to fruits and vegetables, but when happens in the community around the food drop. We’ve had a few sites recently talk to us about how people get together and have coffee. 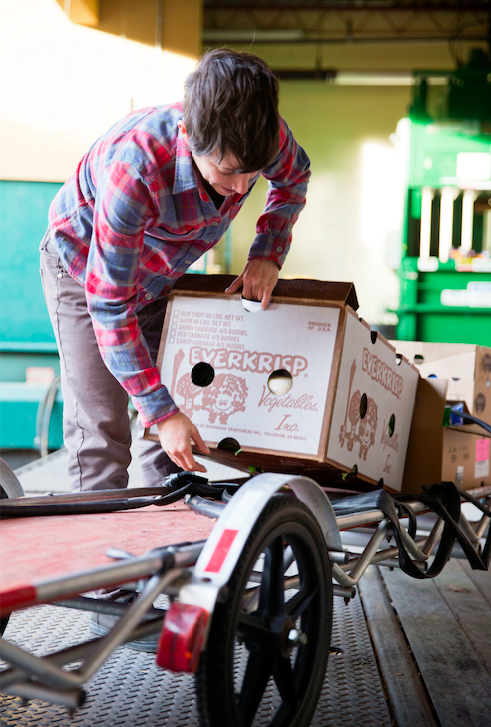 There’s so much more relationship and community building that happens, that’s centered around food distribution. That gets me so excited because food is this tool that gets used to build relationships. That’s what I think this work really comes down to. We’re talking about social justice, moving the needle a little bit on people’s food access. I think it really boils down to building relationships. And we do that through the language of food. LDT: What is your target audience? Who do you mainly work with? HD: Basically anybody that self-identifies as having a hard time accessing food, or anybody that has access to low-income housing or going to some type of subsidized child care program. We don’t make people fill out qualifying forms or anything, but we work with organizations that do that. Maybe we’ll drop to a food pantry or low-income housing site. We drop to people who experience food insecurities. That’s how we find people. The demographics of that include a pretty wide range: a lot of working poor families, individuals, homeless, and seniors. People won’t take food if they don’t need it, so if they say they need it, they do. LDT: What kind of people volunteer with Boulder Food Rescue? HD: Volunteers range. Since Boulder is a town with a university, about a third of the population here are students. And our volunteer pool reflects that – about a third of our volunteers are students. The other two-thirds are people in the community. To volunteer you only have to commit about two hours a week. By the time you bike to the store, load up, bike to the recipient, and then bike the trailer back to the store, it takes roughly two hours. They can find a time in their schedule that works for them. It’s actually a pretty wide range of people that live and work in the community and like to ride their bikes. The age goes from 18 to 80. And anybody who doesn’t want to bike… we recognize you have to be able-bodied to do those shifts. Anybody that wants to contribute. People contact us and they’re like, hey, we’re a graphic designer or hey, I’m good at marketing or website design… We’re pretty much put together by volunteer power and enthusiasts. LDT: What is your outlet from work? Outside of work, I’m involved in other organizing projects. Things that are social justice oriented. As part of a group, I was fundraising. I do racial and economic justice work. I’m in conversations about race and class lines. I do random things with the queer, LGBT community here. I really like to write. I’ve been writing a lot more poetry and performing poetry. And building collaborations with musicians and artists that want to create art that incorporates poetry. HD: As an individual, it’s totally art. That’s the thing I’m so excited about, doing more performances. As Boulder Food Rescue, we have an event coming up next weekend so that’s really the next thing. We do this annual conference on food justice, the social justice side of food. Trying to understand stories around food between different cultures in this area. I think the next big thing beyond the event is conducting these design workshops with food insecurity individuals. We’re putting together a series of workshops so anyone who identifies as food insecure can attend this workshop and design ways they can have more participatory structures in their food systems. Individuals will come up with ideas about how they want to participate in food access in Boulder. How to get their voices heard. It’s hard to explain what the end result will be, but the idea is to have food insecurity individuals explain what resources they’re looking for and then the agencies like us, food pantries, government agencies, and folks that have access to food and subsidies will then come together and figure out ways for people to have a larger voice. HD: To get back to what you asked before around challenges. I think our biggest thing in terms of lack of resources, is that we need funding. We are a small staff that does a lot on a little and the more funding resources that we have, the more we can do. The more we can pay our staff to do more. A lot of folks are working part-time. We could use more staff is the reality behind it. It’s cool that we’ve been efficient and thrifty so far. I think with more financial resources we could create an organization that’s a lot more sustainable. I think it’s really cool this organization has been funded in grassroots ways. We’re an organization that’s funded by members of our community that give a little bit, but we have so many people that give a little bit, we’re able to grow and provide. It’s like Bernie Sander’s Campaign – a whole bunch of people that give a little. It does a lot. LDT: How do you think your market or industry is going to change in the next 5 years? 10 years? HD: The next five years is going to be tough. I believe that in the current political climate there will be an increase in poverty. I think there will be an increase in food insecurity and hunger. And I think there will be a decrease in the government subsidy so there will be a decrease in resources for people. I think there will be higher numbers of people that need food. Really, it’s only going to grow. So that’s a challenge that we’re not quite sure what’s going to happen and how we’re going to address that yet. It’s definitely something I’ve had conversations about with other people who run food orgs across the country. I think also it’s really hard to say how access to food will change. Food waste will be a problem. I imagine it’s going to be a problem for a while. I do know the EPA and USDA are pushing businesses, grocery stores and corporations to decrease food waste from a production standpoint. If we can create less waste in the first place, that’s great. But I’m not sure how long it will take some of those models to take place and be effective. We are going to have to get creative. There’s also a rising awareness about food rescue and more people doing things about it, which I think is only a good thing too. I hope there will be more of an incentive to donate food as opposed to throwing it away. Each interview on Let’s Do This features a guest question from a previous collaborator. This question comes from Ian Galdy, Co-Founder of Octal Sound, a specially tailored music agency designed around the artists, their music, and an ever-evolving music community. Ian Galdy: What would you bet your largest mistake would be professionally over the next five years? HD: That’s a really hard question. Wow… that’s so interesting. Because I can totally tell you what my mistakes have been and how I’m trying to learn from them. How do I foresee mistakes in the future? I’m going to make something up because there’s obviously no right answer because I don’t have a time machine. I think in the past a big mistake I made was doing too much without having the proper funding for that. I think I can imagine myself in the future continuing that process. Saying yes to too many things, without having the proper funding or infrastructure to fund those things. It’s a thing i’m trying to learn from but I have a tendency to take on too much. I think another mistake is that I’m very political and I believe that’s a good thing. I think that it’s important if we’re going to talk about food access or lack thereof, to talk about the root of that. It’s important to talk about why that is true. Which is economic insecurity, the current political climate, capitalism… I think it’s important as an organization to form strategic alliances and have some insight into how to be navigate that question. Even if that’s true, how do we go about tackling those root causes. So sometimes, I think I just need to be careful in my approach. LDT: What’s your question for next interview? What do you want to know? HD: I want to know how the next person sets boundaries for themselves. LDT: Where would you like to be able to focus your energies if you had more time & resources? HD: Food Rescue Alliance. I really love working with people across the country doing similar work in their communities. It’s inspiring. It’s fun. I get to learn about what other communities look like and food access. I really love coming up with ways that we can have a larger voice in this conversation around food access in this country. How we can build connections across different cities? And help support each other in that?  LDT: Who or what kind of people would you like to read an interview from on Let’s Do This? HD: I would say an artist of some sort. 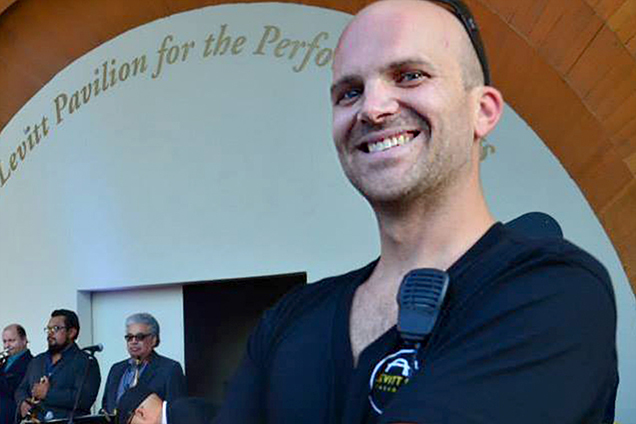 Somebody who maybe is inspiring change in their communities through performance art or poetry. I’m excited about art as activism. So I would say that idea. 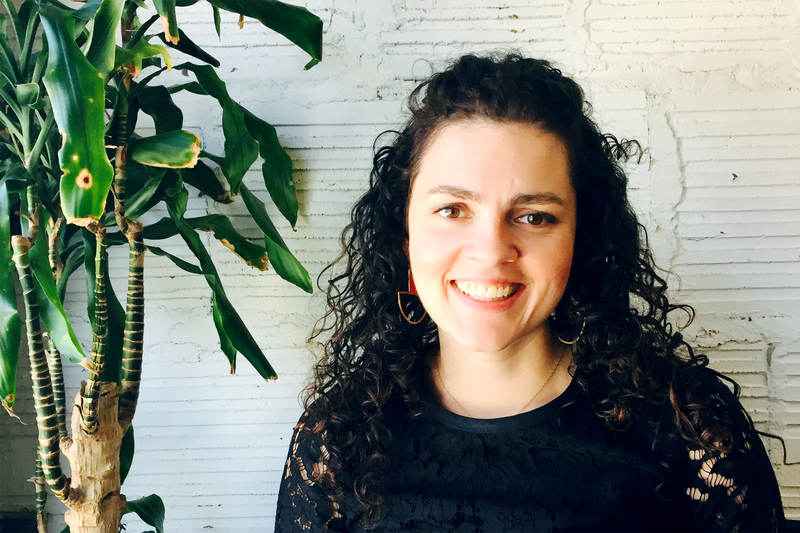 If you’re interested in a future collaboration or learning more about Hana Dansky & Boulder Food Rescue, you can connect and follow their journey using the links below. If you are interested in donating to support Boulder Food Rescue, you can either PayPal the organization directly, or donate through Colorado Gives.